Dr. Al Jaber: "The summit is a global platform for foreseeing the future..."
Dubai: The Emirates News Agency, WAM, signed the "News Agencies Tolerance Charter" with 25 news agencies, in the presence of Dr. Sultan bin Ahmed Al Jaber, Minister of State and Chairman of the National Media Council, NMC, on the sidelines of the first day of the World Government Summit in Dubai, WAM reported. 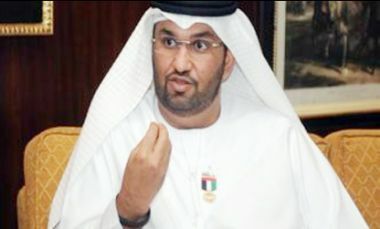 Dr. Al Jaber stressed that the summit is a global platform for foreseeing the future and improving government performance, through an innovative approach that focusses on finding practical solutions that will create a bright and positive future for humanity, due to the vision, supervision, monitoring and participation of the wise leadership. He added that the seventh edition of the summit has acquired significance, as it emphasises pivotal and strategic trends, such as technology and its impact on future governments, health and quality of life, the environment and climate change, trade and international cooperation, education and its relationship with the labour market and future skills, the media, and communication between governments and the people, as well as the future of individuals, communities and policies. Commenting on the charter, he further added that tolerance is among the UAE’s traditional values, which it has sought to promote through institutional work, ensuring the achievement of tolerance-related goals and promoting noble values in all areas of life among individuals and communities. Al Jaber also pointed out that the signing of the charter is in line with the NMC’s commitment to participating in the summit to reinforce the culture of positive thinking and promote openness, cooperation and tolerance in various countries. 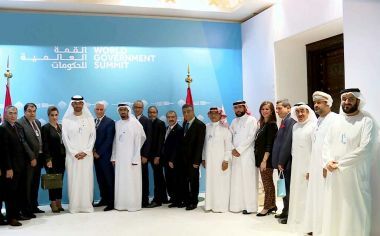 The signing was attended by Mansour Al Mansouri, Director-General of the NMC, Mohammed Jalal Al Raisi, Executive Director of WAM, and presidents and directors of regional and international news agencies. The charter was signed by WAM, the Saudi News Agency, the Bahrain News Agency, the Kuwaiti News Agency, the Yemeni News Agency, the National News Agency of Lebanon, the Jordanian News Agency, the Sudan News Agency, the Federation of Arab News Agencies, the Middle East News Agency, the Cyprus News Agency, Trend News Agency, the Kyrgyz National News Agency, the Latin American News Agency, the Bulgarian News Agency, the Portuguese News Agency, (Lusa), the EFE Spanish News Agency, the National Malaysian News Agency, (BERNAMA) Sputnik, Indian PTI, the Philippine News Agency, the Associated Press of Pakistan, INX Platform, and the Slovenian Press Agency.